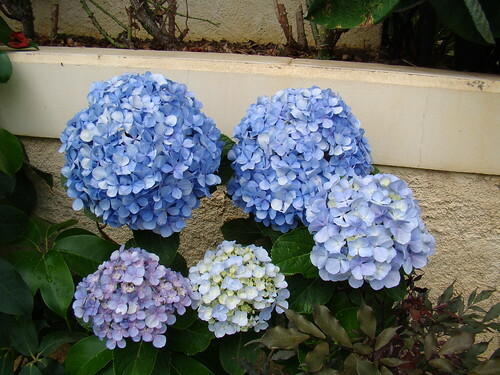 Botanical name: Hydrangea macrophylla • Other names: French Hydrangea, Lacecap Hydrangea, Mophead Hydrangea, Penny Mac, Hortensia. Hydrangeas are garden shrubs with heads of flowers in shades of pink, white or blue.They have pretty autumn colour and leaf shape. Avoid exposed east-facing sites (cold winds may damage young spring growth) and avoid dry, sunny spots.